What's good on the street? 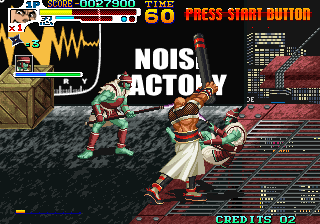 I love beat 'em up video games. 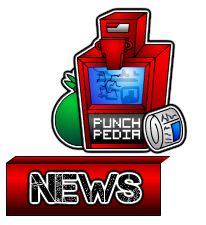 So I made PunchPedia, a site that aims to be the #1 place on the internet for all information related to brawlers. Peep the F.A.Q. for more info, or hit up the Games section to start browsing brawlers. Only a few games are 100% complete, so lemme know if you wanna contribute. Enjoy! PunchPedia is basically done! I listed almost every brawler ever made. Anyway, I'll be taking a break for a while to develop a video game of my own. 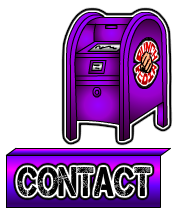 Enjoy the site and send me an email if you wanna contribute or found any errors. Added searching. Now it's time to clean up! Added dope new browsing functionality! 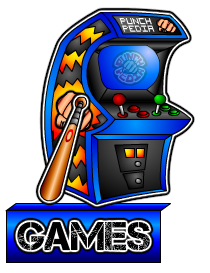 Click the Games tab to check it out! 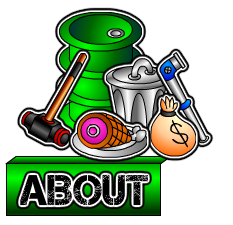 I'll be adding searching next and then I'll finally clean up all the brawlers I missed on the first pass, including one of my personal favorites, the much-hated The Adventures of Bayou Billy. Added summary pages for all GBA brawlers. Next I'll work on implementing better browsing and searching features. Added summary pages for all six PC Engine brawlers. Over the remainder of December I'll be adding Game Boy Advance brawlers and finally finishing out the list with a few games I forgot or ones on weird systems like Guardian Heroes. I'll also be adding browsing and searching functionality. Added summary pages for all eight Sega Master System brawlers. If you're not in the know, the Master System was basically Sega's answer to the NES although it only caught on in Europe and Brazil. Next are PC Engine (aka TurboGrafx-16) games, then Game Boy Advance, and then whatever's left. Added Game Boy brawlers. Did you know that there are two brawler trilogies on that console? Sega Master System is next! Added a 100% complete page for Sonic Blast Man! This is my all-time favorite single player brawler. It's deep, extremely challenging, unique, and has phenomenal music and graphics. 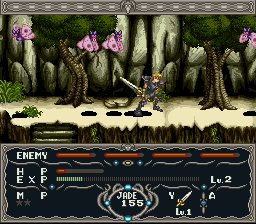 Plus, each of five stages has three completely unique enemies. Try this one out if you think you're good at brawlers! All NES brawlers are finally listed! I also made a 100% complete page for Mighty Final Fight, arguably the greatest 8-bit brawler ever made. It's like Final Fight meets Mega Man! Bare Knuckle III (aka Streets of Rage 3) page is finally up and 100% complete! This one took me way longer than expected because I forgot how much content this game has. 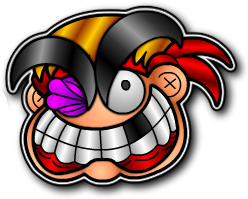 Anyway, now I'm gonna start listing NES brawlers, followed by the SNES library, and then beat 'em ups on miscellaneous platforms like PC, Game Boy, and PC Engine. Lastly, I'll finish off with recent games like Dragon's Crown, Double Dragon Neon, and the actually good one, Scott Pilgrim vs. The World: The Video Game. Sega Genesis / Mega Drive games are now all listed with summary pages. Streets of Rage 3 complete page (including Bare Knuckle III stuff) coming soon! Introducing the finest console brawler ever made: Streets of Rage 2! In my opinion, this is the first brawler to truly surpass Final Fight. It's also one of the main reasons PunchPedia exists. Unfortunately, Streets 2 took me way longer than expected so look out for a complete Streets 3 page later this week. In the meantime I'll be adding summary pages for all Genesis brawlers. Streets of Rage is up with a 100% complete page! 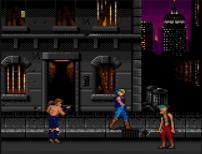 Thanks to Streets of Rage Online for being an excellent resource. Streets II and III are coming this weekend, followed by summary pages for every Genesis brawler. Also, complete pages will be updated so they load faster. PunchPedia is live! Dust off yer knuckles and grab a joystick because it's time to get back into the most slam-tastic video game genre of all time. We're starting off strong with nearly complete pages for Final Fight, Double Dragon, Golden Axe, TMNT, Knights of the Round, Blade Master, Undercover Cops, Wild Fang, Renegade (aka Nekketsu Kouha Kunio-Kun), and Vendetta. Only arcade games are listed for now, but console brawlers are on their way!